Doctors ask: how can we offset the risks associated with sitting all day? Are kneeling chairs actually good for you? Study: Is your sit-stand desk good for your brain? Are employers taking hay fever seriously enough? REGISTER NOW! Friday 17 May: Cold water immersion: kill or cure? Blue light and workplace wellness: what can we do? This entry was posted on November 30, 2016 by Zoe Thomas. Is the newly released Arc Touch from Microsoft the right computer mouse for you? Let's take a look. What's special about the Microsoft Arc Touch? We didn't see people queuing all night outside Posturite HQ for the release of the Microsoft Arc Touch. In the shadow of more exciting tech - smartphones, VR, AI, the humble mouse can seem a little...boring. Still, for what's essentially a lump of plastic designed to be pushed around a desk, the Arc Touch IS pretty slick. It still serves the same function of course - enabling us to navigate and interact with our computers, but it's a world away from the clunky beige devices we all had tethered to our desktop computers a few years ago. It's even a big improvement on its predecessor - the original Arc. This model was flawed in a number of ways. Mainly the way it rolled up into a ball shape. Customers didn't shy away from criticising the fact that, far from making it more portable, this made it a rather bulky mouse to carry around. Luckily, Microsoft listened. The 'bending' technology in the Arc Touch has been tweaked. In 'off mode', you snap it completely flat so it's the shape and size of a smartphone. To reactivate it, you bend it back into a palm-sized arc that's designed to whiz comfortable around your desktop. Word of warning: bending and unbending this mouse is very satisfying to do. If you are a fidgeter, it might take quite a lot of your willpower to leave it alone. If you can't leave it alone don't worry too much - during testing the Arc was bent and unbent 40,000 times to ensure years of performance. We can't say it'll do much for your productivity levels of course. This mouse isn't just for your desk. The Arc Touch features Microsoft's BlueTrack technology, which was designed for those moments in life where you don't have a mousepad, or suitably clear surface to work on. In fact, Microsoft claims that the Arc Touch can be used on virtually any surface. Of course we had to put this claim to test. The wall, a calendar on the wall, a plastic stool, a leather sofa, a wooden floor, someone's back, a leg. It worked every time. It's official: the world is your desk. Of course the practical implications of working from somebody's back are questionable, but the real benefit of BlueTrack comes when you're out and about - perhaps in a meeting room controlling a presentation, or on a packed train working from a pull-down tray. This is Microsoft's first foray into the world of touch scrolling. It's essentially a virtual scroll wheel with multiple functions. It even produces a synthetic but fairly convincing scrolling sound when you use it. Other functions include page up, page down and a reprogrammable middle click area. Snap-in nano transceiver for wireless use - locate the transceiver in the battery housing and plug it into your device for instant use. 2.4GHz - fast wireless connection. Two-colour battery light indicator - gives you ample warning for when it's time to change the battery. Ambidextrous design - comfortable for both lefties and righties. 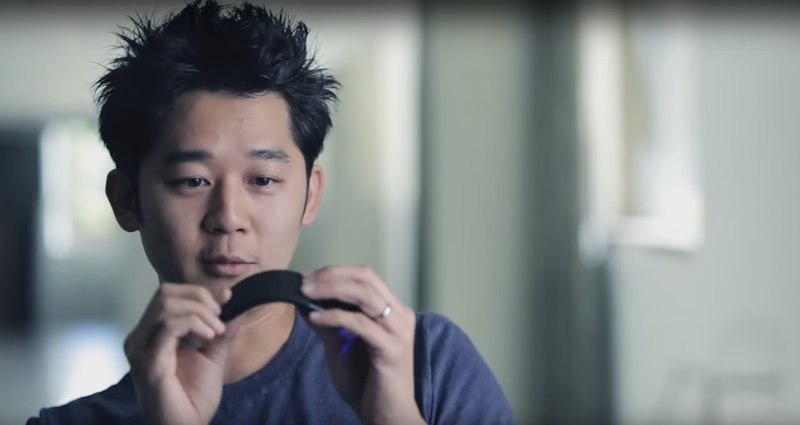 As the nicely produced promo video below reveals, the Arc Touch was the brain-child of up-and-coming designer Kim Young, a graduate of the Art Center College of Design in Pasadena, California. He, along with many other 'user-experience designers' at the software giant's Seattle HQ, appears to be pioneering a fresh change in direction for the brand that's young, trendy and up with the times. Who is the Arc Touch for? 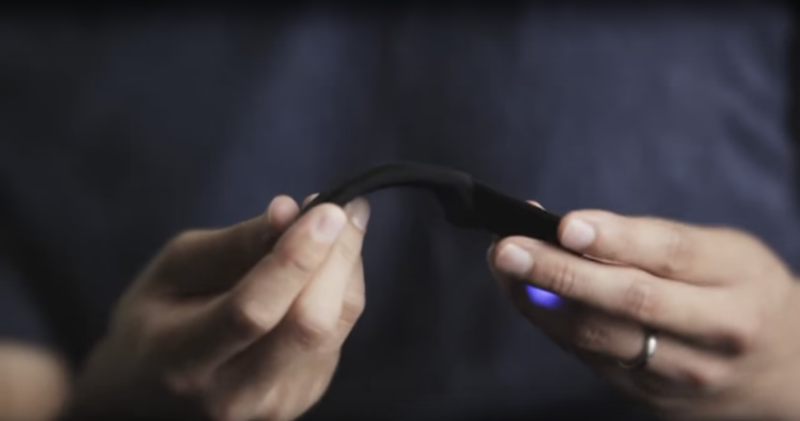 The Arc Touch has been designed for on-the-goers: people who take their work with them on planes, trains, hotels, cafes, or wherever they can poach free WiFi. You can easily slip this mouse in your laptop bag - or any bag for that matter, without adding extra weight to your back. We don't recommend this mouse for long-term everyday use. As slick as the design is, it's main purpose is portability - not ergonomics. The Arc is comfortable for short term use but after a while this position can tire the small muscles and soft tissues in your hand and wrist, potentially leading to injury. 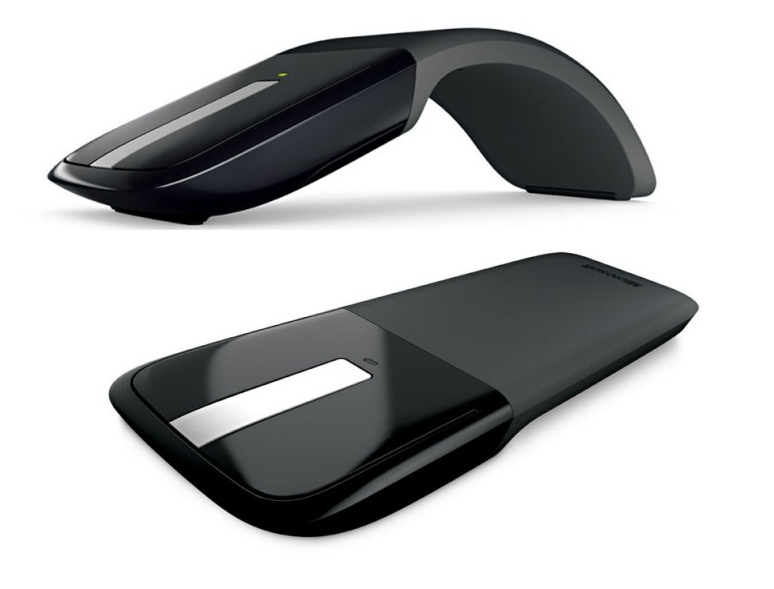 Keep the Arc Touch as your on-the-move mouse, and try to use a full-size vertical mouse at all other times. We're all different. We all have different sized hands, different preferences, different tasks that we need to carry out. Despite the huge influence of customer reviews in the world of online shopping, one person's opinion should never completely dictate another's buying decision. Take advantage of our 14 day free trial to find out if the Arc Touch is right for you. If you don't like it you can simply send it back for a full refund.